Awards & Recognition – Girls Play Sports, Inc.
We are humbled yet excited to share how Girls Play Sports has been recognized in the community. Scroll down for more information and photos! Megan Livatino and Liz Brieva received The Buddy Portugal Award from the Justin Wynn Fund. 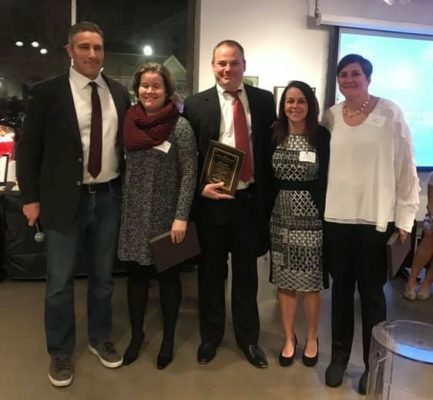 The award honors an adult in the community who has made an outstanding contribution to Evanston’s youth. 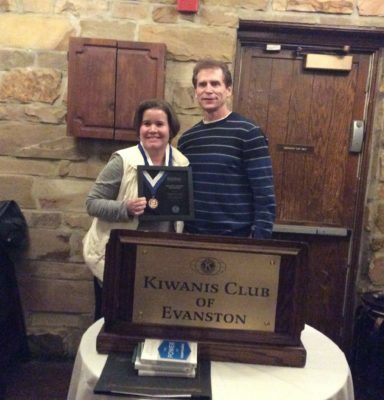 Megan Livatino and Dr.Scott Hopf, President of the Kiwanis Club of Evanston’s Foundation, which awarded over $25,000 last year to local organizations. Megan Livatino was awarded the Hixson Award by the Kiwanis Foundation. The Hixson award is named for George Hixson, the first president of Kiwanis International, an organization serving over 550,000 individuals in over 80 countries. Their mission is to ‘serve the children of the world’. Girls Play Sports is thrilled to be a recipient of the 2018 Toyota Everyday Hero Award. Launched at the 2013 espnW: Women + Sports Summit, the Toyota Everyday Heroes program honors women who are working to promote and grow sports for girls and women in their local communities. Watch the video highlighting GPS and read more about the award here.